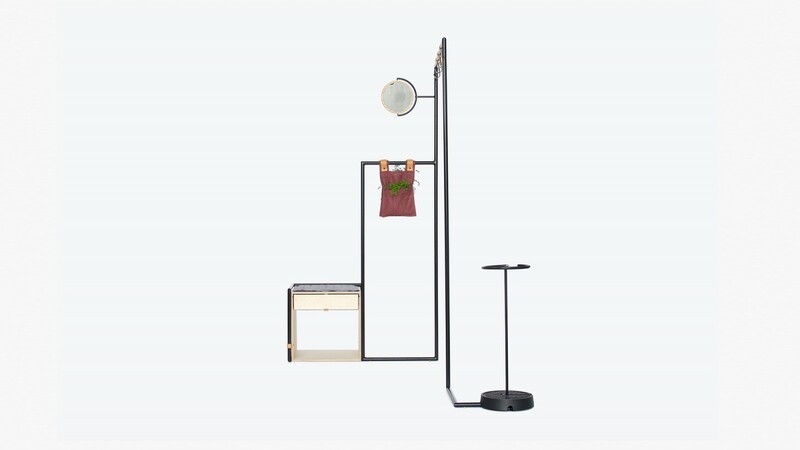 Hang 10 modular storage unit is part of a flexible landscape of delineating storage systems to suit any environment. 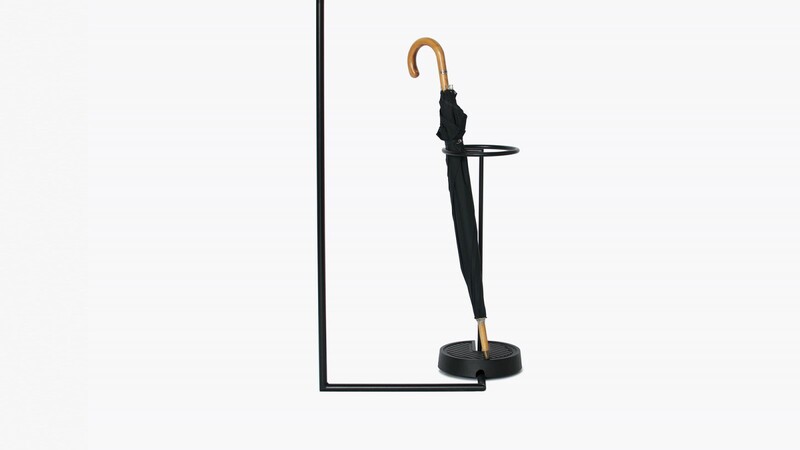 Arranged singly or grouped in various configurations, each element is freestanding and takes the form of a continuous line of tubular steel terminating at a floor-weight. 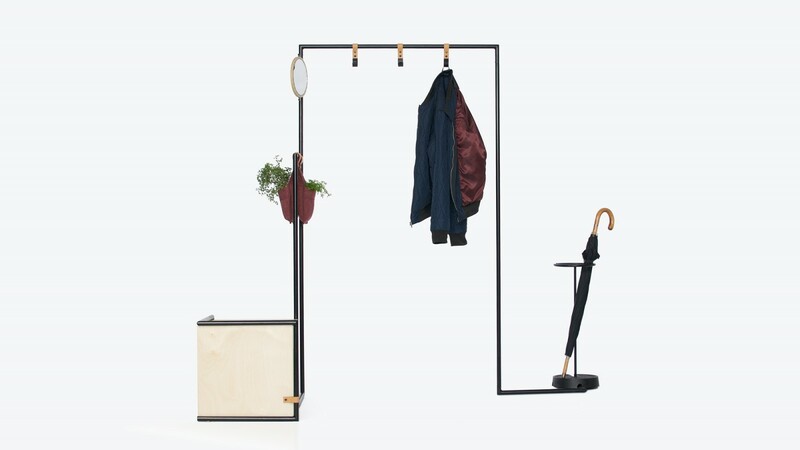 Hang 10 comprises high hanging rail with 3 coat hooks, adjustable mirror, box seat, umbrella stand and floor weight. Optional accessories include deep or shallow drawer, additional hooks, quilted seat pad and felt planter. 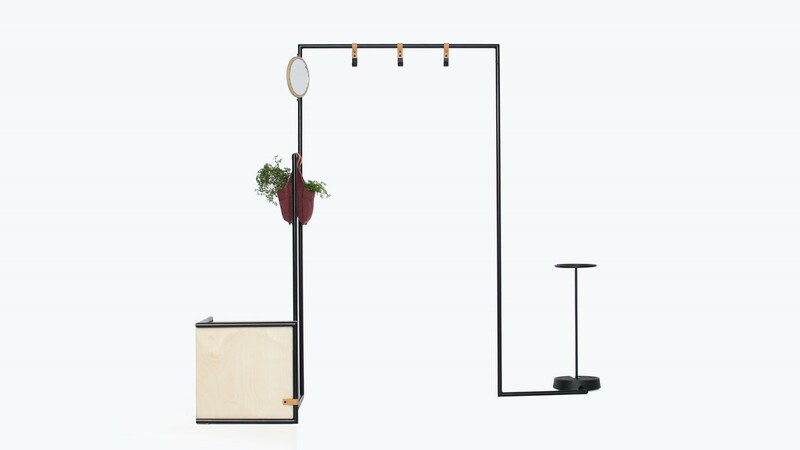 Hang 10 is made in Melbourne from powder coated tubular steel, birch plywood and American ash with a cast iron floor weight. Wipe down with a damp cloth. Avoid use of harsh chemicals. Some assembly required. Take care when handling the 15kg weight.